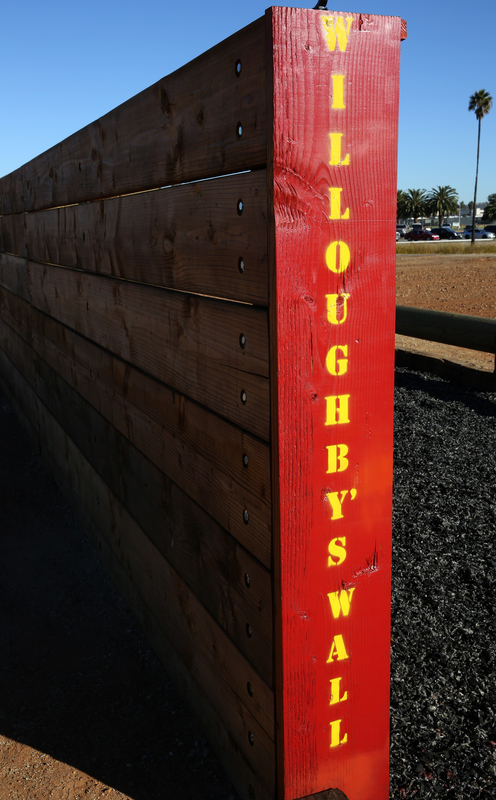 Members of 3rd Marine Aircraft Wing got a new obstacle course this week, with one section named after a sergeant who spoke up and asked his commanding general why their base didn’t have one. Sgt. Mark Willoughby Jr., an air intercept controller with Marine Tactical Air Command Squadron 38, out of Marine Corps Air Station Miramar, Calif., was a corporal when his CG invited him to his house for breakfast. Maj. Gen. Steven Busby, 3rd MAW’s CG, has held breakfasts and lunches at his home for small groups of lance corporals, corporals and sergeants for about a year. It’s part of his Committed and Engaged Leadership Initiative, which was documented in two Marine Corps Times cover stories: How (not) to talk to lance corporals, dated Nov. 4, and No more knife hands, dated April 1. Willoughby told Busby that he and Sgt. Mark Sanchez, a tactical data system administrator with the same unit, had an idea for a base obstacle course. Busby listened, and Willoughby was invited back within weeks to break ground on the project. Now the new obstacle course is open, with the first Marine running through it on Monday. Busby said he hopes that opening the obstacle course shows young Marines that leaders are listening to their ideas. He said he knew based on his conversations with members of 3rd MAW that noncommissioned officers felt they weren’t as empowered by leadership when stateside as they were when deployed. 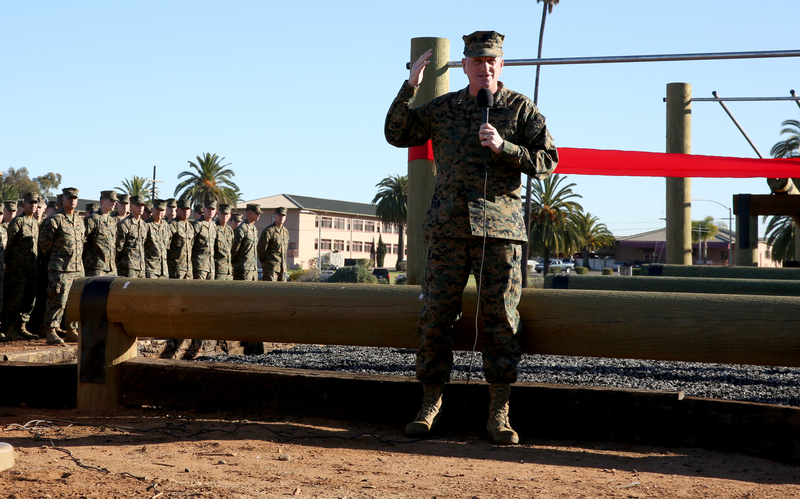 He’s hoping his leadership program gets Marines on all levels more engaged and involved. You can read more about 3rd MAW’s Committed and Engaged Leadership Initiative by clicking on the cover stories below. NCO’s are and forever will be, the Backbone of the Corps! NCO’s make a difference every single day. If they only knew the power that they have as NCO’s, the Corps would be a better place. Your name will obviously never be forgotten at Miramar. Kudo’s to General Busby for taking the time to invest in our backbone. Never stop looking for way to improve Our Corps! But remember it sometimes takes time. The NCO waist plate, I firts suggetsed in ’76, then again in ’83 and ’92 before it became relaity.